They went bowling for their day date. It sounded like they had a blast! They had reservations for Dinner at Olive Garden after we were done with pictures. They all looked so perfect in their dresses, suit and flowers. All smiles for their session. I love having 5 high schools in the valley now! Plus, these high schoolers from Ridgeline were so nice and well mannered! Hope you guys had a blast at the dance on Saturday! And just for fun – here’s the girls and then the guys! 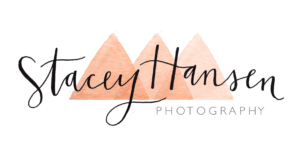 Contact Stacey Hansen Photography to book your family, senior or Dance session. Whether it’s an extended family session, family of 3 or an individual – we have a price that will work for your budget! We also do High School Dance Photos! We capture your special moments, posed pictures and some fun photos in between. There is never a better time to book photos than NOW. Don’t wait, get those pictures taken soon! High School Dance photos are $20 a couple or less! Contact us for your next dance and let us capture your group! We can do digital photos, prints or both!